Friends meet up at the enormous white Adirondack chair on Parrish Beach that comfortably seats six. 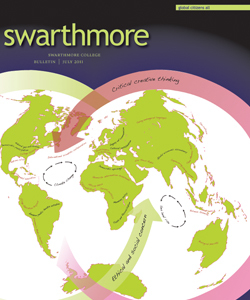 Back row (left to right): Kate Hutchinson 01, Natania Kremer ’01, Nancy Craig ’01. 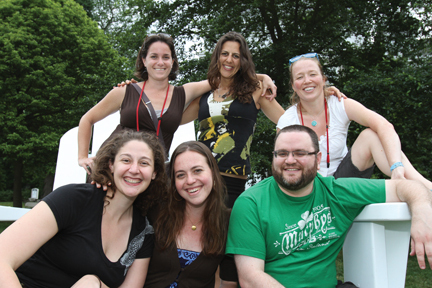 Seated: Kate Fama 01, Sari Altschuler ’01, Andy Mish ’00. 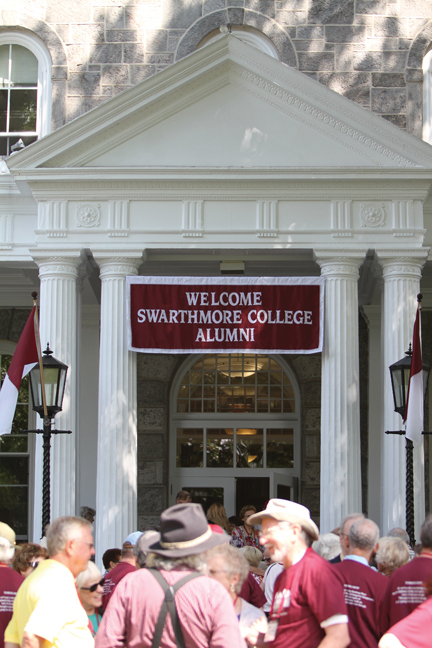 Alumni gather at the main portico of Parrish Hall for Alumni Weekend 2011. 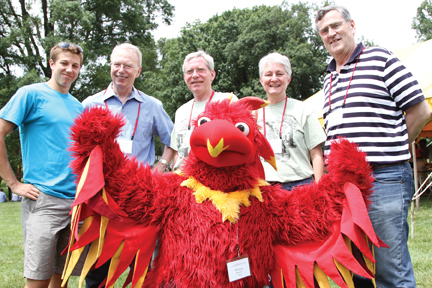 Phineas the Phoenix enjoyed socializing with alumni during Alumni Weekend. 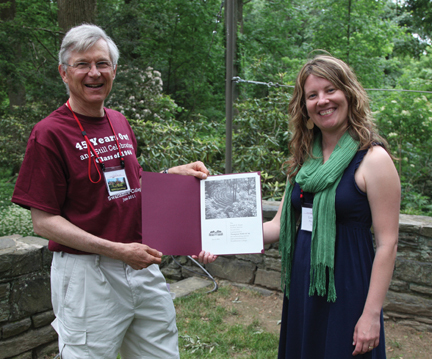 Phineas is pictured here with (left to right) student Cariad Chester ’13, Steve Gordon '71, Mark Dean '69, Martha Meier Dean ’71, and Ken Jewell '71. 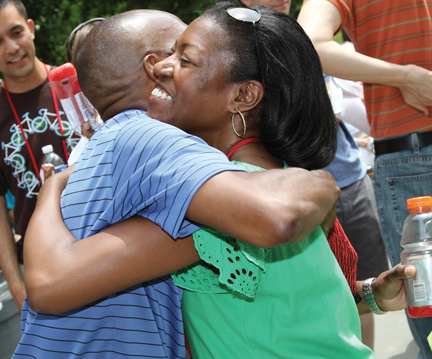 Reunion is a time for catching up (and hugging!) old friends. 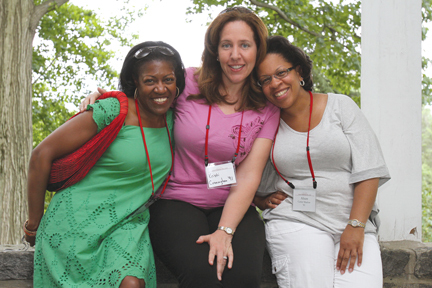 Nearly 1,400 people attended this year’s Alumni Weekend, which was blessed by balmy weather. 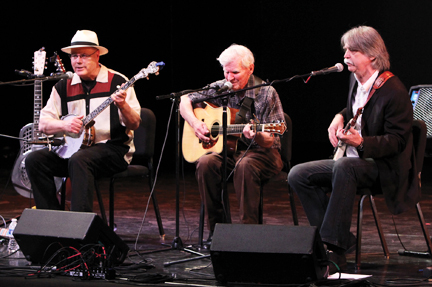 Eighty-eight-year-old bluegrass legend Doc Watson (center) performed at the invitation of Swarthmore Folk. The concert honored the late folklorist Ralph Rinzler ’56, who “discovered” Watson at a recording session in 1960. 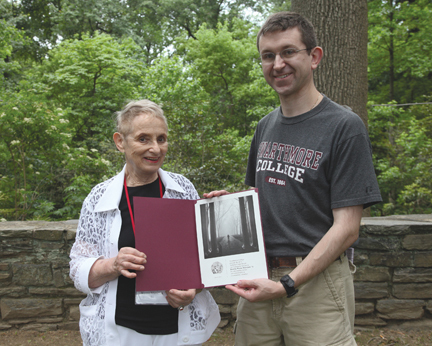 Alumni Council member Jove Graham ’96 presented the Arabella Carter Award for Community Service to Dorothy Wynne Marschak ’51. 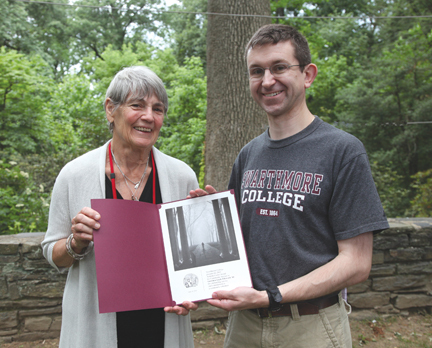 Alumni Council member Loring Pfeiffer ’02 presented the Joseph B. Shane Award for service to the College to longtime volunteer Thompson Webb III ’66. Robin Bennefield ’91, Kristi Cunningham ’91, and Alison Carter Marlow ’91 were among the alumni who gathered at the Black Cultural Center to catch up with each other and to meet the new director of the Center, Karlene Burrell-McRae. 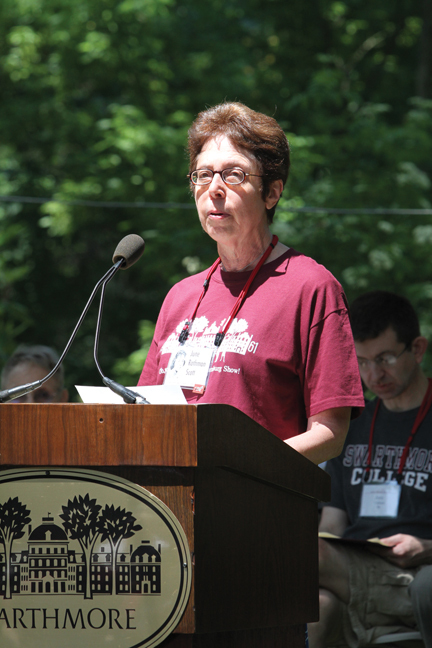 Members of the Class of 1961 celebrated their 50th reunion. 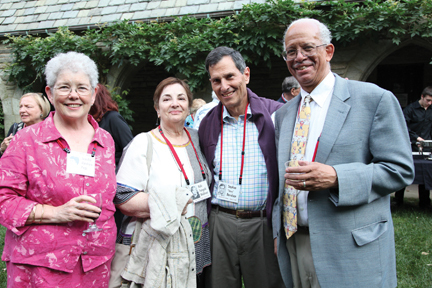 At their pre-reunion dinner reception were (left to right) classmates Ricki Feingold Waldman, Jennifer Abraham Page, Stephen Davidson, and Maurice Eldridge. 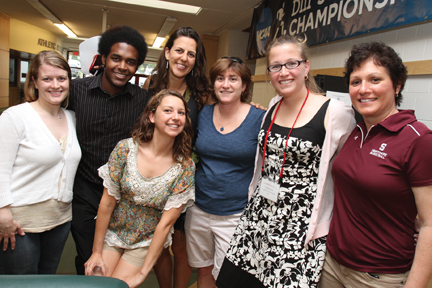 Former student athletes got together with Karen Borbee (center), head coach of women’s lacrosse, and Renee DeVarney (right), women’s basketball coach.